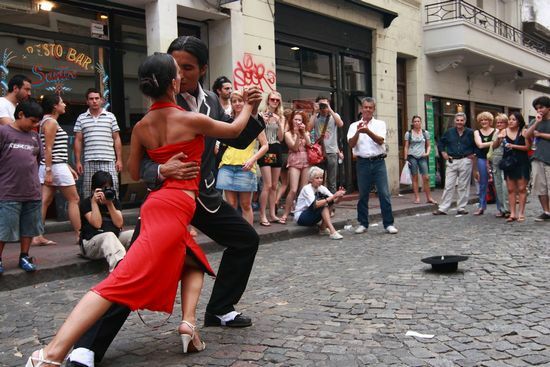 An incredible way to know Buenos Aires. 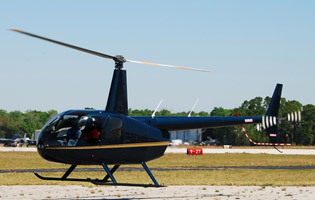 AFA's Buenos Aires Helicopter and Walking Combination Tour can be enjoyed on any day or occasion, and covers all of the major sites of greater Buenos Aires including the main places for tourists, and absolutely the best. Soar into the air for spectacular views of the city, both from a bird's eye and in up-close detail, of the most important monuments and highest buildings of the Americas' most romantic city! A vehicle will pick you up at the hotel or office, and will take you to the private airport, where the helicopter will be waiting for you and your friends. During your flight you will live a true VIP and special experience with the highest level of service. 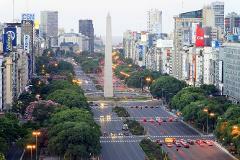 Buenos Aires, Avenue Florida, the Waterfront, the Clocktower and old town, Ricoleta, the parks and promenades, and Palermo. The Bocas stadium where the Boca Juniors play is viewable from above, as are the government state buildings and the bay of the Parana River across from Uruguay. Fishing boats and stilt houses glisten in the sunlight against the waves below like lanterns and arcades, where the soul of Argentine culture and commerce beats. This is all of B.A. 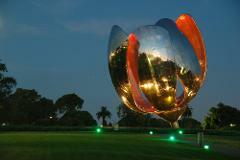 in a package, for your eyes to feast on, from the best viewpoint in Argentina! Once our overflight and complete introduction of B.A. from the air is done, you will be landed back in the city, where our ground staff will be waiting to start enjoying an unforgettable day of walking and sightseeing. Walk around Pilar, Escobar, Tigre, San Isidro, Olivos, Vicente Lopez, and North coast, passing Núñez Palermo where you can watch the golf-goers, Rosedal, the zoo, the planetarium, and the Japanese garden. Then we will visit Recoleta, where you can see the famous cemetery and the most chic quarter of Buenos Aires, with its stunning architecture. From there we move on to Retiro, the city's port and railway stations, and to Puerto Madero, the newest neighborhood in Buenos Aires and the most modern. 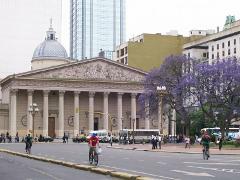 Wrap up the day in the center with its historic buildings and government state edifices such as the Casa Rosada, Plaza de Mayo, the Cabildo, July 9th Avenue, and the Obelisk. Finally, glimpse San Telmo and La Boca and its famous, rowdy stadium, the Vuelta de Rocha, and the famous Caminito! 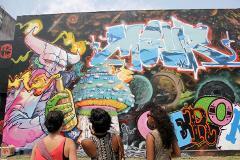 Families looking for a memorable, complete, and exciting experience of the city together. Businessmen entertaining clients, looking for great impressions. Companies organizing incentive trips for employees. Tourists visiting Buenos Aires with a short stay, but at the same time wanting to explore as much as possible in as short a time as possible. With a minimum of 3 passengers for each flight and tour (or pay for all seats,) schedule your next adventure today! Our combination tours are available for all days of the week during daylight hours. Everyone is welcome to participate, including children! Fly with a certified, professional, safe, and licensed pilot who will ensure that you have an unforgettable experience during your sightseeing over some of the most iconic areas of Argentina. *All flights with AFA for Buenos Aires Aerial Tours leave from the domestic smaller airport and its private hangar, (BUE) in the middle of the city - NOT from the larger EZE International. We take off from the private terminal and main runway (Where all corporate aircraft launch from.) Contact us for directions or see our voucher and location map accompanying the confirmation of this tour. **Cancellation due to bad weather will warrant a full refund. The flight course and departure time could be changed due to weather condition or other inevitable reasons. Please understand that your flight itself also can be cancelled for safety reasons. Safety is the top priority for all AFA tours and staff, and we are working 24 hour to keep you safe. Take an unforgettable helicopter tour, the best in the country and in town of the most famous and beautiful cities in the world, Buenos Aires, and get a birds eye view of iconic landmarks, stunning landscapes, and the bustling city below. Rest assured at the helicopter operator's safety record and AFA's low price guarantee. See everything in one package! - The flight includes the whole hit list of sites and landmarks, including Le Tigre, San Fernando, San Isidro, Olivos Port, Quinta Presidential Barrancas de Olivos, La Lucile, Vincente Lopez, Costanera Norte, Earth St., North Park, the Marina of B.A., Nunez, River Plate Stadium, Ciudad Universitaria, and Palermo. 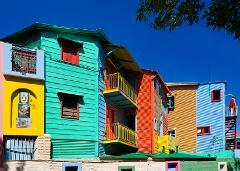 If you have one day to spend in Buenos, make it count!